“Cooking on Location” provides valuable know-how to the reader, from the first time “never-ever” to the experienced outdoor person. It is spiced with stories of real events that happened to Cheri in the outdoors. And, she adds, many of the helpful hints and all of the recipes can be applied to the kitchen at home. 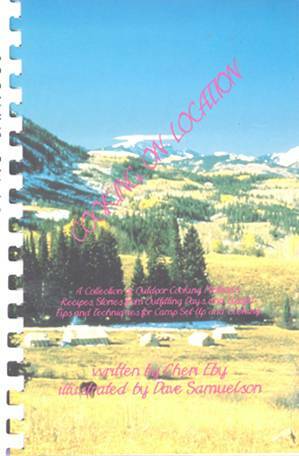 Cheri Eby, her husband and son were partners for many years in several outfitting businesses in Colorado and Alaska and they prided themselves on providing their clients with camp accommodations and menus far exceeding the normal. She also has presented seminars on the subject of cooking in the outdoors at the annual national convention of the Rocky Mountain Elk Foundation. 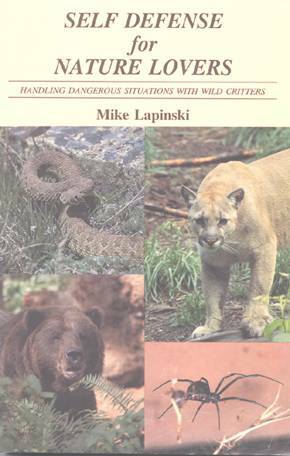 The book is issued in 6x9-inch comb binding with a stunning color cover set in the Colorado Rockies and the book is graced by a number of color photographs and wonderful illustrations by artist Dave Samuelson of St. Ignatius, Montana. The book contains 139 pages and its Table of Contents is exhaustive, from planning, menu planning, shopping and packing, camp organization, meal preparation, cooking methods and styles, equipment lists and shopping list, starters, meat dishes, fish dishes, poultry and other birds of a feather, greens and other salads, vegetable and other side dishes, good morning, breads and such, sauces and marinades, the basics, and an index. This is a thorough, well-thought-out, carefully-prepared and beautifully illustrated cookbook that will be both a help and inspiration to anyone cooking on location anywhere in the outdoors.